Following the eruption of the border conflict between Ethiopia and Eritrea in May 1998, the government of Ethiopia launched a wave of deportations of Eritreans and Ethiopians of Eritrean origin, claiming they were a threat to national security. 70,000 of the Eritrean residents in Ethiopia have been deported. Among these people were the elderly, disabled, young children, professionals, businessmen and women. 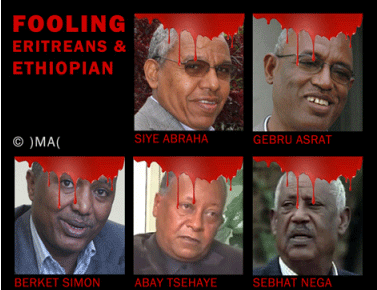 Will Ethiopia ever be blessed with Leaders who respect and Identify Eritrean Private Affairs? Deported on the ground of her threat to the security of Ethiopia. According to the Human Right Group in Asmara, more ethnic Eritreans are being held in small police stations where there is virtually no monitoring of their situation by international observers. PETER WORTHINGTON also states that Ethiopia began arresting people of Eritrean heritage at night, confiscating their property and imprisoning and deporting them to Eritrea. Prime Minister Zenawi defended the right to expel any foreign national: "If we say 'Go' because we do not like the colour of your eyes, they have to leave." The cruel deportation policy of the Ethiopian government which was carried out during the border conflict. 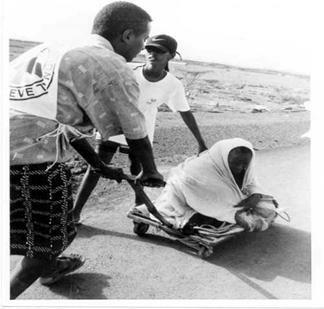 There were more than thousands of Eritrean youth in the concentration camps of the TPLF. A mother whose six-month old baby was snatched off and abandoned arrived delirious and agonized from swollen breasts. Another woman who left four children behind without anyone to look after them suffered a mental breakdown and was taken to a mental hospital. A, recently widowed, twenty-three old mother who had just lost her sister and was taking care of her mother but was taken away from her seven-month old baby screaming and begging. Many reported they could not bid farewell to their children who were in schools when they were taken away. Almost all mothers were callously denied carrying even the breast-fed infants whom they were forced to abandon crying and without any one to look after. Another locked the door of her house, leaving her small son sleeping inside because the security officers said she would be back in a few minutes. Others have begged the soldiers to be allowed to take their children, but have been herded onto buses without even having a chance to say good-bye. Owners of garages, hotels, shops & other unlisted establishments were forced to leave their businesses prone to pillage and theft. One elderly gentleman, 74 years old, had been also taken immediately after an operation and put on a bus. Hundreds, perhaps thousands, are languishing in jail. In June 26, 1998, Mathew Bigg, a correspondent for Reuters interviewed some of the prisoners held at FICHE and wrote "Detainees said some in the main camp had been beaten..." Between November 1998 and January 1999, eight Eritreans were reported to have died in jail. Amnesty International is reiterating its appeal to the Ethiopian government to put an immediate stop to the deportations and ill-treatment of deportees, and arbitrary detentions of thousands of other Eritreans, including 38 students in Blattein military camp. Will Ethiopia ever be blessed with Leaders who respect and Identify Eritrean Private Affairs?readmore? "..........establishing a toothless weak satellite Eritrea post PFDJ to make Ethio-Eritrean relationship similar to the relationship that existed between Lebanon and Syria pre-2005, when the Syrian regime effectively ruled Lebanon through security apparatuses and client local sectarian parties until they were forced out of the country under international and regional pressure in the aftermath of the assassination of Lebanon�s former Prime Minister � Rafiq Hariri � on 14 February 2005 readmore"